PRP Treatment: Platelet-rich plasma (PRP) is a revolutionary no-operative treatment preference that not only relives pain but promotes long lasting healing of many diseases. This rapidly emerging technique shows very promising potential for many conditions such as arthritis, tendonitis, ligament sprains and tears, etc. PRP is not something that subsides over time as with a conventional pain injection. As, our blood is made up of 93% red blood cells, 6% white blood cells, 1% platelets and plasma where platelets are best known for their function of blood-clotting to stop bleeding. Platelets, yet, are much more considerable than this, as human platelets are also a critical component in injury healing. The body’s first response to tissue injury is to transport platelets to the area. Platelets begin repair and attract stem cells to the injury. Injecting these growth factors into injured ligaments, tendons, and joints trigger the natural repair process. Objective of PRP is to maximize the number of platelets while minimizing the number of red blood cells in a solution that is injected into the injured or pained area(s). 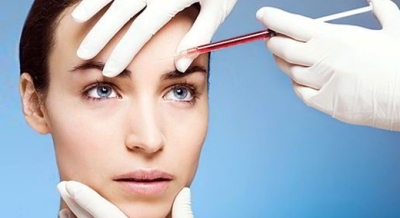 PRP is created in a simple, painless and conventional way. The entire process of drawing blood to solution preparation only takes approximately 25-30 minutes. 30 ml of blood is drawn from the patient, just like a routine blood test. Once the blood is drawn it is then placed into a centrifuge. The centrifuge is a machine that spins the blood at high speeds in order to separate the blood into red blood cells and concentrated platelets. Once the blood is estranged the red blood cells are discarded, and we are left with concentrated platelet rich plasma (PRP) which is ready to be used in the treatment process. PRP treatment works most effectively for chronic ligament and tendon sprains/strains that have failed other conservative treatment. With any treatment option the outcome and sustained results are highly dependent on the extent of the injury. For example in the case of mild arthritis, PRP could potentially prevent the development of further degeneration. However, in advanced arthritic degeneration the goal of the treatment is to minimize pain and improve function. PRP (potentially if used in tandem with the use of stem cells) could avoid surgery such as joint replacements and potentially spinal fusion. The advantage to PRP therapy is different from other treatments as it has a persistent outcome and is categorized as an everlasting fix. The period for experiencing results is dependent upon the area of injury and the extent of the injury. On average, most patients start to see signs of improvement in the form of reduced pain or increased function within four to six weeks. Generally, PRP is an especially safe treatment option with no risk of allergic result because it is your own blood. However, whenever a needle is placed in the body, there is a risk of infection, bleeding, and nerve damage. These risks do not happen a lot, and are very rare.